I'm a licensed Marriage and Family Therapist (LMFT) in Oregon and California. My counseling/therapeutic work is deeply influenced by Emotionally Focused Therapy (EFT), Psychodynamic Approach, Existential Psychology, Somatic Psychotherapy and Cognitive Behavioral Therapy. I'm also an experienced parenting coach who works with the model of Positive Parenting Program (Triple P). In my spare time, I enjoy walking, writing, playing tennis, cooking and baking. I believe that finding a good match with a therapist is the most important factor in a successful counseling / therapeutic relationship. I wish you the best in finding the support you need. I look forward to getting to know you and discovering how we can work together. She is calm, patient, intelligent and well-rounded at communication styles. So far I've started to notice small but real progress. I am confident things will continue to progress for me with her advice and techniques. Yuko was great, she listened and asked good questions. I'm extremely grateful that she made herself available on very short notice. We have only had two sessions and are still feeling out each other's communication styles, and the attention to this instead of just plowing ahead is promising. 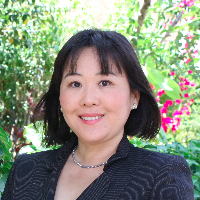 Would you like to write a review for Yoko Ikeda? We'd appreciate if you can spend a couple of minutes to write a short review for Yoko Ikeda (LMFT). This review would be shared with Yoko Ikeda. It may also be posted in our website or in Yoko Ikeda's profile but it would be anonymous and your identity would be kept completely confidential.